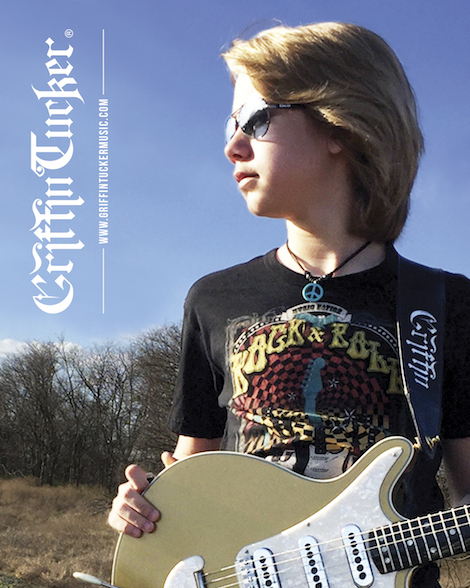 Griffin Tucker – born to rock the world! 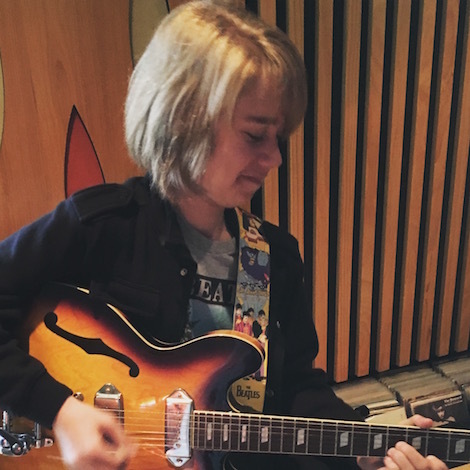 Charismatic, creative and kind-hearted: Griffin Tucker was born to rock the world! 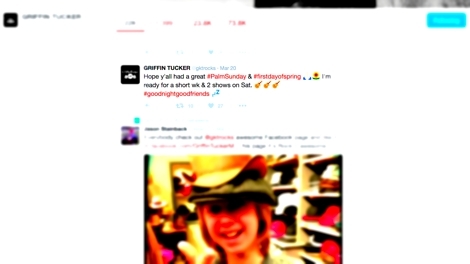 I have had the privilege of meeting Griffin and his family in person and have had the unforgettable experience of hearing him perform live. A true rock star at heart, Griffin exudes an incredible energy when he sings and plays and appears completely at home on the stage. Griffin has had an exciting and varied career since he was first featured on this site at 11-years-old. You can read that first article here. 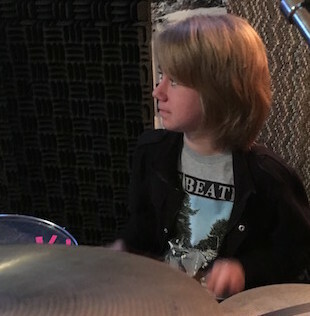 “As many of you GrifFANs know, Griffin is a drummer at heart and has been since the age of 5. But did you also know that Griffin is accomplished at many instruments? Piano, keyboards, harmonica, mandolin, ukulele, bass & guitar. In fact, he’s not just any kid who plays guitar. Last summer, he won the coveted TEXAS TOP TEN UNDER TWENTY GUITAR competition at the Dallas International Guitar Show. In addition to being a multi-instrumentalist, he’s been gigging since the age of 8. 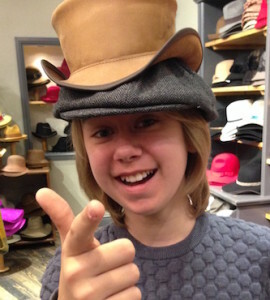 First, in a Beatles tribute band then he toured with Disney artist Zendaya. Next came Westfield Presents in London England then a KISS tribute band – and, now, he plays as a solo artist whenever he’s not in school. For me personally, Griffin was formative in my growing belief that young creatives are the hope for the future. Like so many amazing children, he is largely unaware of the positive effect he has on so many. When I first discovered Griffin he was 10-years-old and I was helping him grow his Twitter following. What struck me then and still does now was his genuine kindness and concern for his fans. This combined with a natural talent and work ethic that is only matched by his modesty makes Griffin one hec of an inspirational kid and – dare I say it – a role model for boys in their early teens. He knows what it is, as Led Zeppelin would have it, ‘to be a a rock and not to roll’. It all sounds rather over-sensational doesn’t it? But what made it strangely fascinating for me is that it coincided with some detailed research that I was doing on the 1212 Children’s Crusade for a musical project. 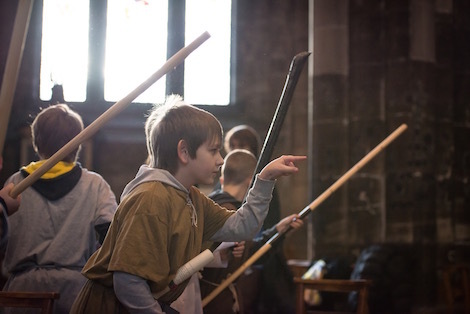 I became fascinated with the image of a Children’s Crusade and what that might look like today. The world of social media is riddled with risks and more than its fair share of darkness. I saw in Griffin a whole new world of possibilities. 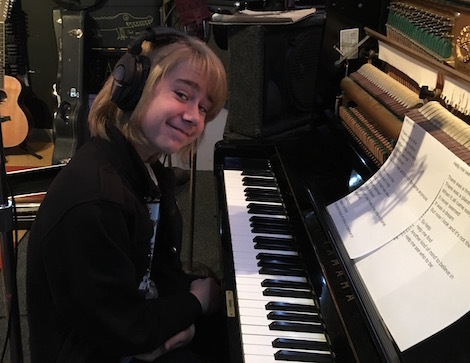 As well as sharing his talents and amazing music, Griffin has created a community where he supports his GriFANs as much as they support him, sharing in their successes and even asking everyone to pray for them when they are going through hard times. 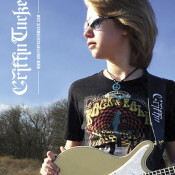 As in 1212, thousands of people are rallying round Griffin, drawn by his music, his talent and his caring personality. My hope is that the adult world – in our wisdom – are not too quick to reject something which on first glance may appear threatening and out of control. I, for one, am excited to see what the future holds for Griffin and his army of GriFANs! Looking ahead and an exclusive announcement! As simple as it sounds, this is some of the best advice I have ever heard – especially to young musicians in our culture of instant fame and recognition. 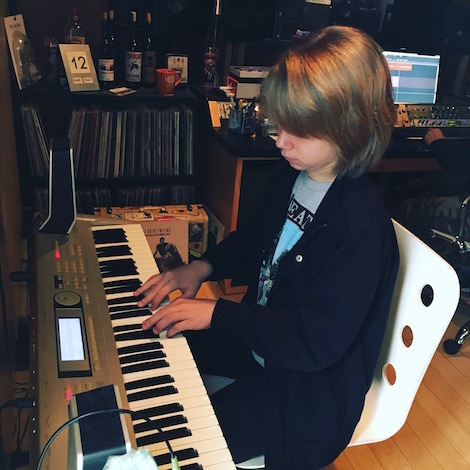 If you can be dedicated enough to be a little better each day as a musician – and as a person – the only other things you need to reach your goals are some time and patience. “Although Griffin doesn’t play much during the school year because he focuses on maintaining his A Honor Roll status, he does love to play for his fans. And, he is set to kick off this summer early this year by playing 2 shows on March 26th – one show is at a party with some surprise guest artists accompanying him on drums & bass; the 2nd is at the Prophet Bar in Dallas with a band named STEEL that he drums for. But he is most excited about going back to the Dallas International Guitar Show to play on May 1st. We are honoured to be able to announce here the title of Griffin’s next release! 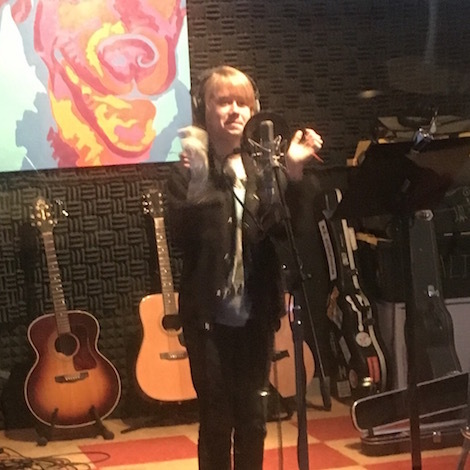 It is called ‘Who to Be’ and – in the manner we have come to know and love – Griffin will be playing every instrument and singing each vocal the track! He describes it as “a very Paul McCartney/ELO sounding tune.” Release is set for late May and a video will follow in the summer. Meanwhile, do check out Griffin and, if you have not done so already, join the GriFAN army!